​Remember that really cool show y'all used to watch while in school (that some, if not all of you continue to watch now), the one with the science quotes, the t shirts with pop culture references and the glib mentions of comic books? Yeah, that one. The Big Bang Theory is probably the most influential TV show of the last 11 years, premiering on the fall of 2007 this show had a ridiculous fan following across the world including here in the sub continent. It was a pretty interesting time in the world pop-culture, The Spiderman Trilogy had just ended in May that year and nerds were caught dead centre between the Dark Knight films, it was the perfect maelstrom of all the things that fans of comic-books and similar pop culture always wanted, it was a simpler time when we weren't given the full jolt of live action films by Marvel, DC and Star Wars every 5 months or so. The show itself fed off the fanfare that these franchises generated leading nerds to believe that this was in fact their moment in the sun, they were going to take over the world one episode at a time. The year 2007 was a confusing time for most of us, it was pre-Obama, Doris Lessing had just won the Nobel Prize for literature and for me nerd culture was finally becoming acceptable, I could finally read a comic book in class without being cast down with the sodomites. People were getting to know what it was like being part of being in a culture that was largely underground for several decades and were no longer reacting to it in the way that popular media has showcased it, a.k.a bullies were no longer cool. 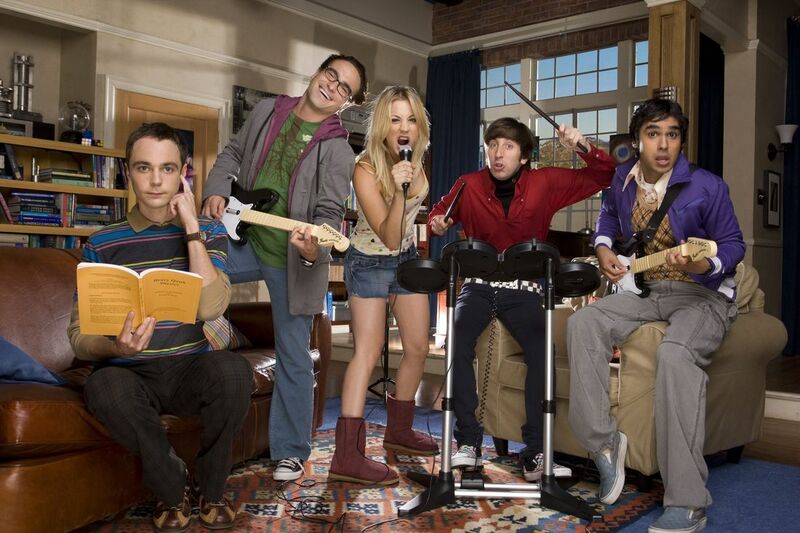 And of course TBBT had a role to play, here were four awkward, uncoordinated people whose life choices were quite different from the environment around them, which influenced the way they dressed, their conversations and how they viewed the world. Nerd culture had been well documented over the years, but there were only a handful of shows which showed the world through their POV (IT Crowd maybe). Nerds around the world flocked in droves to follow this show like moths to a flame, most of us likened ourselves to the leads personalities, some of us were a Raj, a Howard, a Leonard (I don't think anybody likened themselves to Sheldon though he was the most popular character). The question is however if even with all of this popularity why was there a drop off? Why is this show not relevant anymore ? and most importantly is the show aware that it is negatively showcasing nerd culture? It was 6:30 when we reached Gyan Manch. The play was supposed to start at 6. And as the dog-ate-my-homework excuse goes, the-Uber-got-us-late. More specifically, the-driver-got-us-late. It wasn’t his fault either. This was Amit’s first day, and we, his 18th ride. His average rating was 2.8 stars. ​We helped him navigate. He was a Catholic school’s dream - well dressed, well behaved, listened intently without questioning. He almost drove into a petrol pump to our left, instead of the road to our left, just because we said ‘left.’ (Jesus take the wheel, amirite?) We wondered what other orders he would follow without questioning. “Amit, end my suffering”. But it was his first day, so that would’ve been too much to ask. ​So this little indie low-budget movie called Star Wars: The Last Jedi came out, and fan reactions are… split, to say the least. It’s an incredibly risky movie that adds a lot of introspection and deconstruction to the series, calling into question the way the Force, the mythical space-magic that has been a mainstay of the series, has been treated, interpreted and taught across the whole saga. For better or for worse, this has ended up being exactly the kind of movie that the franchise needed - a risky installment that shakes up the whole series and invites discussion and analysis. There have been quite a lot of debates on the matter, and there are so many great takes that have been spawned that you can spend the whole day getting to know new perspectives on it. Through this article, I’m trying to do something different. Because all this deconstruction and introspection isn’t new to the Star Wars universe - it’s something gamers have experienced back in late 2004, when Obsidian developed and released Star Wars: Knights Of The Old Republic II: The Sith Lords - a title that split fans to the core, in many of the same ways the current movie fandom has experienced right now. And I feel it might benefit to compare them both, seeing how the decisions they took are simultaneously critical of the central morality play of the series, and why these end up making for a stronger story. Mild spoilers for The Last Jedi follow, and I’ll do my best to avoid any spoilers for the Knights Of The Old Republic series (referred to as KOTOR afterwards for convenience). Because the analogy can be extended best to a Light Side playthrough of KOTOR II, I’ll primarily deal with the plot on that side. ​It’s been a week since BoJack Horseman’s fourth season got released on Netflix. I've written about why the show is so amazing before, and and this new season hasn't disappointed, rocketing the show up to the top of my favourites. It’s a fantastic crop of episodes, combining the strong character development of season two with some of the experimental nature of season three, and the plotlines show a strong commitment to the theme of family. 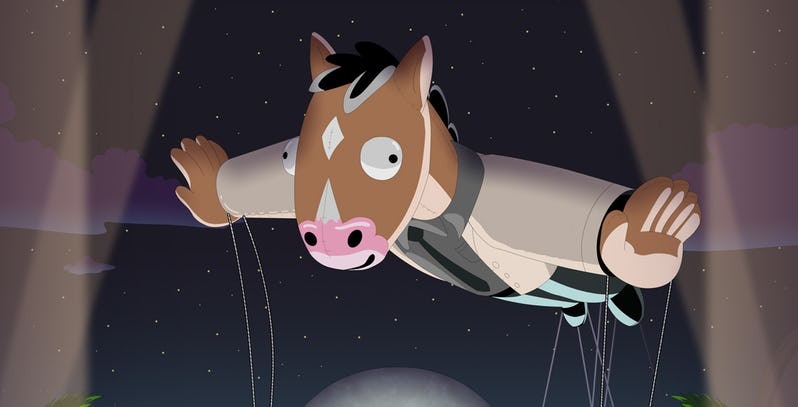 However, as amazing as the main storyline revolving around BoJack is, there are a lot of thoughts in my head regarding a secondary one. Although, to be fair, no storyline can really be called secondary by now, since the whole cast is an ensemble of deeply interesting characters with interesting lives. 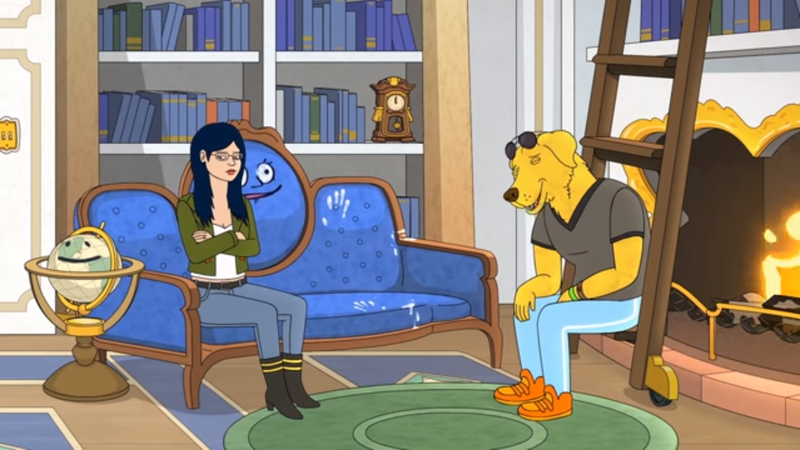 And none fascinate me more than the relationship between Diane and Mr Peanutbutter. This article will contain spoilers. ​Punk rock is the voice of the disillusionment era. It was created by a generation of youths who primarily considered themselves to not be artists, but working-class individuals, who faced a set of social and economic problems, including but not limited to mental illnesses. Though largely neglected within discourses of illnesses, the punk rock genre has been a champion for the cause of drawing attention and awareness to various illnesses, usually psychiatric. I have to start this article by talking about Charlie Kaufman. Ever since he broke into the industry, Kaufman has always poked and prodded at the very structure of scripts, cutting and rearranging the metaphorical fabric they're woven out of. His first big hit was Being John Malkovich, the story of people vicariously living their fantasies through a Hollywood star (played by himself - Kaufman scripts always tend to attract genius casting). His second script, Adaptation, was something every film student kicked themselves for not thinking of, an exercise in metatextual narrative made long before being meta was memetic. Then came Eternal Sunshine Of The Spotless Mind, which played a romance story in reverse to justify why relationships can be worth facing their own eventual breakdown. Eventually, he went into film direction with Synecdoche, New York. Kaufman had always been interested in the inner workings of the human mind, but it was here that he showcased his obsession with mental disorders for the first time. Using a model recreation of a New York district in the same district itself (a synecdoche in Schenectady), he framed the story about a man named Cotard, suffering from Cotard's delusion - perpetually obsessed with the idea that he was close to death. 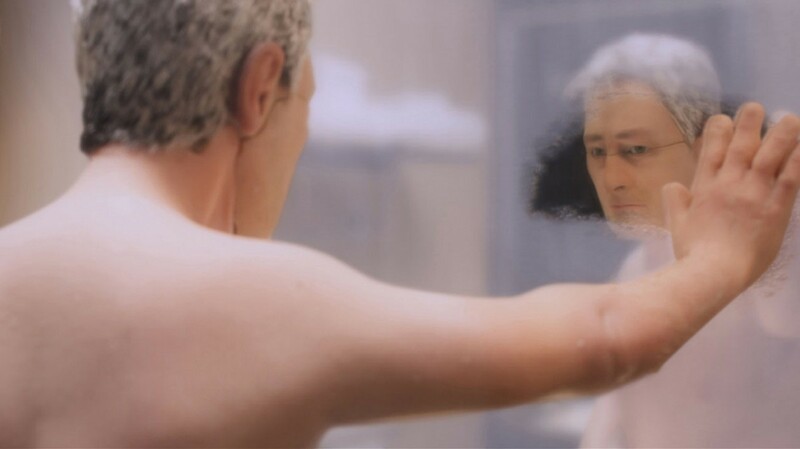 And this background becomes relevant in the context of our subject of discussion, and what might be his simplest, yet his richest script yet - Anomalisa.